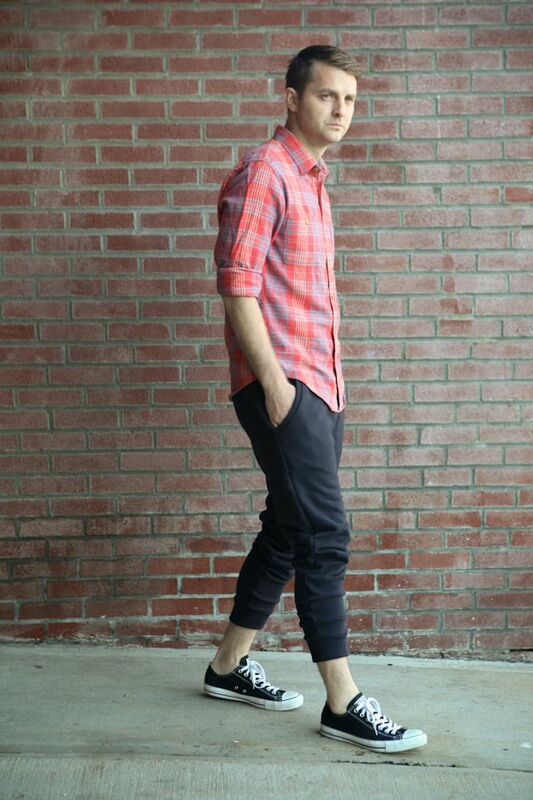 I am very excited to release a Men’s version of the Hudson pant today. Since releasing the women’s and also the children’s versions, I have had a lot of requests for a similar pattern for men. 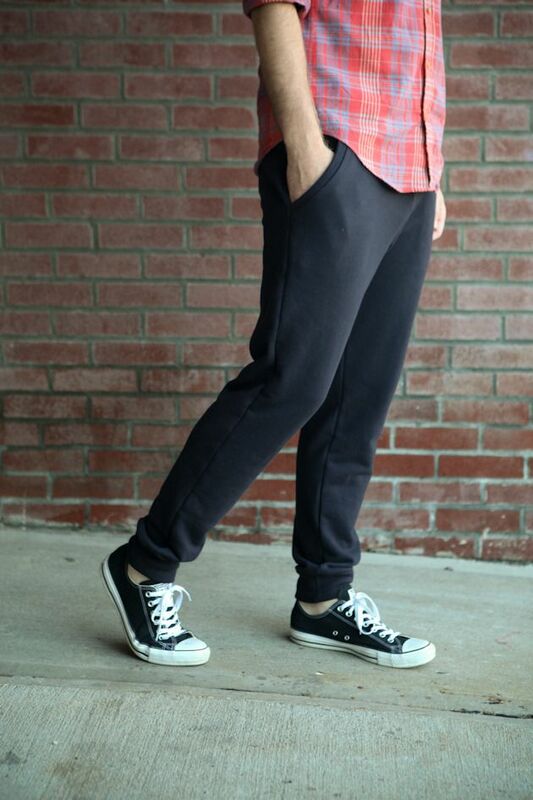 Like the other versions, the Men’s Hudson Pant has an elastic / drawstring waist and front pockets. There is a little extra room around the hips and crotch, tapering down to a skinnier leg at the ankle. I kept the construction of this pattern almost exactly like the others, keeping notches, and details in the same place. If you have already made a pair for yourself or a child, then these will be an even easier sew for you. 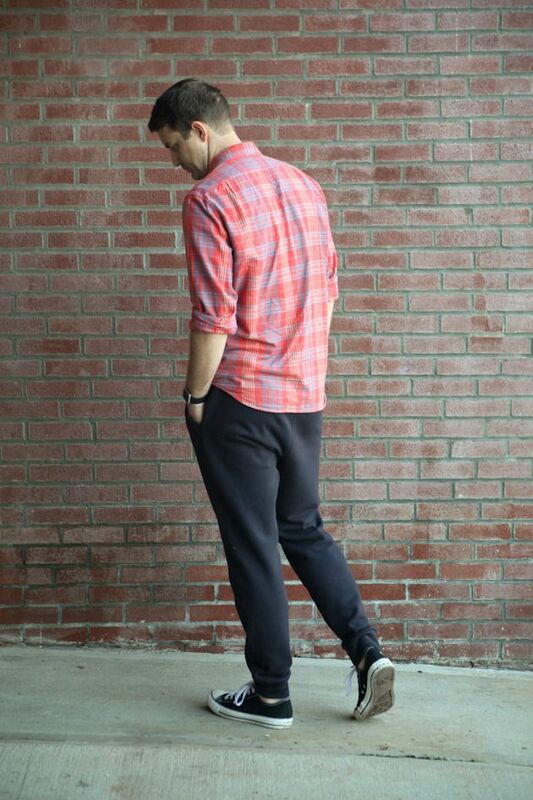 The sizing for this pant is waist sizes 28 through 42. I highly recommend using actual measurements and not ready-to-wear sizing to choose what size to cut. Just like in women’s clothing, ready-to-wear sizing is often skewed and does not reflect actual waist measurements. 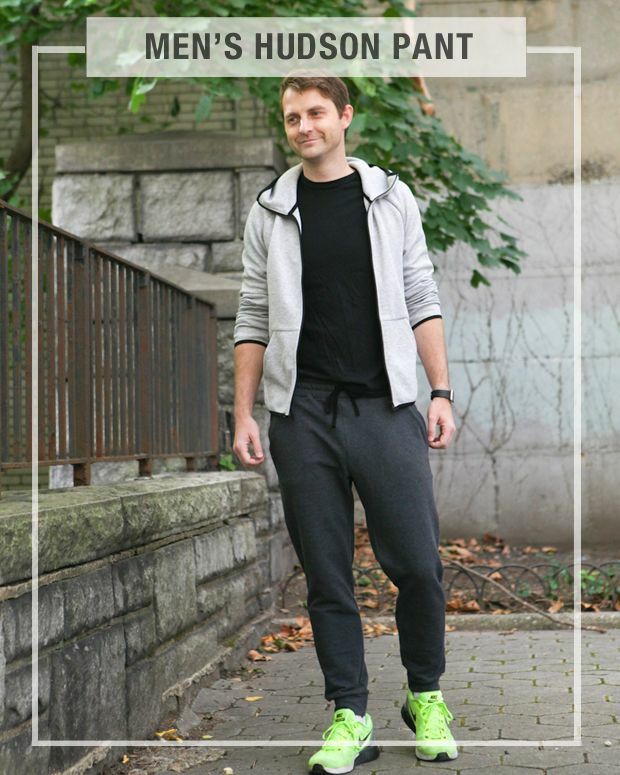 The recommended fabric for this pattern is medium to heavy weight knits such as french terry, ponte, and sweatshirt knit with a suggested stretch of 40% – 75%. The navy sweatshirt knit above was purchased at Metro in NYC and the dark grey french terry was bought on a shopping trip in Montreal with Closet Case Files. I have found that for men you really do want to avoid lighter weight knits such as interlock as they tend to look a little more feminine. 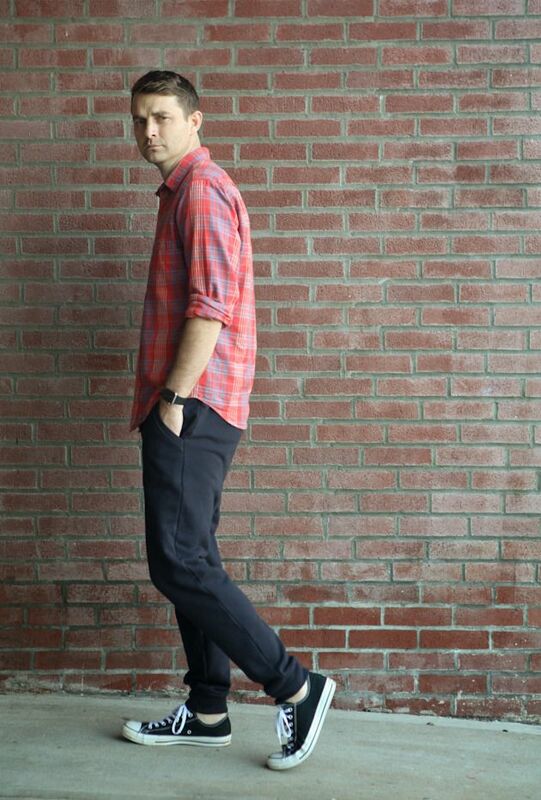 I will not be doing a sewalong for the Men’s Hudson Pants as they are so similar to the other versions, but I will be back with some fabric and ready-to-wear inspiration in a couple of days. I hope that you are as excited about this pattern as I am. Please let me know if you have any questions. If you would like to purchase the pattern you can do so here. Use the code LAUNCHWEEK for 20% off today through this Sunday at Midnight EST. I love these!! I can see making lots for the men in my life. I wear mine constantly! Thanks heather! Im hoping the men in our lives love them as much as we do. Nice one!! I practically live in my Hudsons and really need to make some “office- appropriate” ones. Secret pyjama’s ftw :-). Love the mens version as well! Cool! This would be great to make ski long underwear for my boyfriend. I think he’d prefer the looser fit to leggings, but it’s still tight enough around the ankle to not get bulky inside his snow pants. good thinking. thats never crossed my mind. love the idea of ski hudsons. Nice one! I’ll definitely have a happy customer with these – he loves his stretchy wear! my husband too. they have been on constant rotation around our house. I looooooove these! They look awesome! A couple of weeks ago, I wouldn’t have thought I’d needed this pattern.. but my husband has been vocally lamenting the design of his running pants and these would be such a stylish improvement! 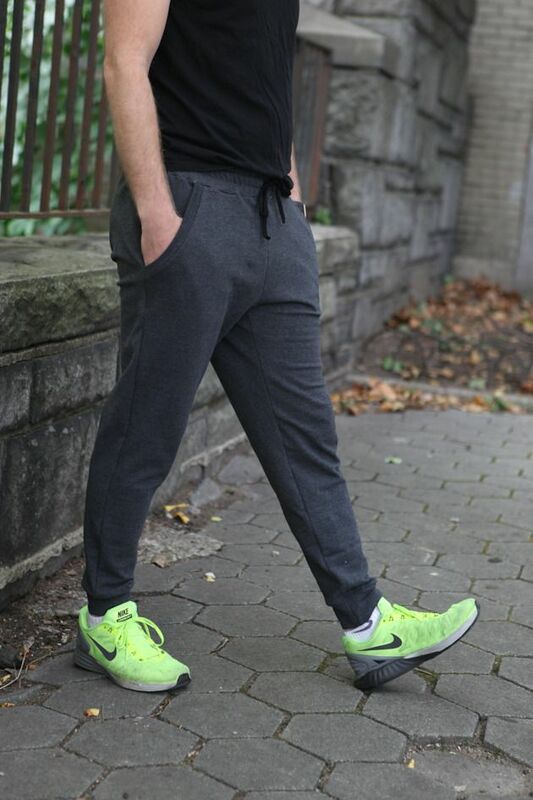 They are really good running pants in my opinion. Just make sure your fabric has some spandex in it so that it has good recovery with the workout. so glad you like them Carmen. Ahhhh so glad you made these!! My husband is totally on board with me making some, too! Excellent.